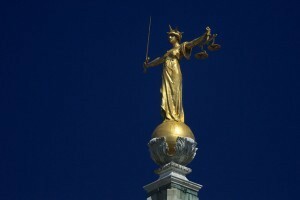 Do you generate personal injury claims leads for sale in the UK? (qualified PI leads). Are you needing to sell PI domain names or websites? Or are you wanting a long-term solution of buying online assets that will give you local, high quality, qualified accident claims enquiries that the personal injury solicitors in your firm deserve to be handling? The PI legal sector in the UK is undergoing some of the most radical transformations in recent history. With the government trying to cut down on a growing claims culture, which has come a long way since Mrs Donoghue swallowed a decomposed snail almost 100 years ago, these are understandably tough times for personal injury law firms and PI claims management companies. The following info may help you whether you’re looking to sell or buy assets that generate personal injury leads and will give you a flavour for the competitiveness of the injury claims space in the UK (if you don’t already know about it!). At the foot of this post are also tips on how to generate more, higher quality personal injury leads through the internet which will hopefully help those trusted solicitors and law firms who want to be getting the best possible results for their clients and not just looking to make a quick buck. We have several contacts who are keen to engage in discussions relating to the purchase of one or more personal injury law firm domain names & websites. Similarly, if you have such a PI domain for sale or if you generate personal injury leads in the UK and you’re looking for a buyer of your assets, we’d be able to advise you on the best steps for selling/licensing your domain name. We’d be particularly interested in hearing from you if you’d like to discover or implement a long-term solution of either buying or selling personal injury leads. If you’d like further information please email me (Gavin Ward) at gavin@wardblawg.com or complete our online enquiry form here and please do share this news with any of your contacts if this may be of interest to them – please use the social buttons or email button to the left of this page. In addition, for affiliate opportunities for personal injury claims leads, we have some contacts who would be interested in speaking to you also – please visit http://www.fimadigital.co.uk/lead-generation/personal-injury-affiliate. In addition, to provide a 2016 personal injury online lead gen perspective – acquiring leads online is becoming more and more challenging. Moore Legal Technology (one of the UK’s best internet marketing agencies for law firms), where I’m a Director, shares some useful tips for personal injury marketing & lead generation but I thought it would be useful to go into a bit more detail here and share some useful info to point you in the right direction. The PI market online is becoming increasingly saturated. Across the UK, each year on average the number of people getting injured – whether in an accident at work, road traffic accident, suffering from an industrial disease, injuring themselves from a slip or trip or whatever else they may need to be claiming for – is roughly the same. So given that there’s the same or similar number of people claiming for an injury each year (albeit the number who are doing it online, indeed more and more from mobile devices, is still increasing), and given that competitors in the PI space online have continually increasing investment to meet competing higher media prices (eg Google Adwords is becoming more expensive for personal injury keywords – in the States some keywords eg ‘car crash attorney’ ones are over $500 per click without any guarantee of making that a converted enquiry), and given more entrants into the market each year, pressures for many PI firms at the moment are understandably intense. Whenever an interesting accident claims case comes out or there’s an important update in the personal injury sector, many firms have a weak marketing team that just write a few lines on their website and leave it there without distributing further, or even do nothing at all. If your marketing team isn’t getting you to stand out, you’re going to be losing out to your competitors, many of whom will have significant budgets. You really have to provide useful, comprehensive, authoritative and evergreen legal content on specific types of PI claims (as mentioned above eg accidents at work, road traffic accident claims etc) for a specific jurisdiction and get it structured, published and optimised effectively to be able to effectively attract new high quality clients. You have to be providing value. And you need to have your lawyers networking both online and offline to become known locally or nationwide as the go-to expert for your specialisms. Do your personal injury lawyers deserve to be recognised for their legal services? And, if your personal injury lawyers are worth their salt and actually do a really great job for clients and deserve to be getting recognised for their legal services, you really have to be getting testimonials and feedback published in local reviews sites like Google My Business (formerly Google+ Local), Yelp, TrustPilot, Feefo or others such as the traditional legal services recommendation portals of Legal 500 and Chambers. In the US, you’d want to be focusing on Avvo, for instance. Your clients need to trust you and they will definitely be shopping around online. If you think your law firm deserves to be included amongst our list of some of the best personal injury lawyers in the UK click here. Google Adwords for Personal Injury Leads – Do you have to pay through the nose? Otherwise it’s just a case of paying through the nose for expensive clicks on Google Adwords (some of the most expensive keywords on the web) – but even then there is opportunity in driving down the price per converted enquiry if you’re using the right PPC techniques (writing outstanding ads, getting the right keywords in the right places, making sure your onpage SEO is great, getting stars/links to your reviews appearing with your ads etc). Want to arrange a quick chat about how I can help you achieve your goals? Email me at gavin@wardblawg.com – I look forward to hearing from you. Previous post: Law Firm Associate Retention Tips: 3 Signs Your Associate Solicitor Plans to Leave!